Emily Ward is CEO and board chair for AlcaCruz, a Virtual Reality company with offices in Silicon Valley and Seoul. AlcaCruz developed SuperStream technology, which streams the highest quality Live and Video VR using the lowest bandwidth, providing fully immersive VR engagement at 70 percent cost savings over conventional streaming. She is also a board director for LabMate, a biopharmaceutical platform founded by principals from Harvard Stem Cell Institute; Nearchus, maker of mobile app technology; and YTranslate, an international translation platform based in London. She is a board advisor for Averon, a cybersecurity FinTech and mobile technology, and CEO and owner of Calla Nava, a Silicon Valley land development firm. Previously, she was Vice President & Worldwide Chief Technology Counsel at eBay and PayPal for many years where she led a global team responsible for legal technology, intellectual property, litigation and M&A issues. She was a driving force in eBay’s M&A teams that assessed and bought GSI ($2.4B), Bill Me Later ($1.2B), Braintree ($800M), and many other companies, as well as divested Skype. She split the IP portfolios for eBay and PayPal during PayPal’s spin-off from eBay. She built an award-winning IP deptartment as well as successfully resolved bet-the-company lawsuits, including Merc Exchange v. eBay, which had a unanimous U.S. Supreme Court decision for eBay. She has testified on patent reform before Congress. 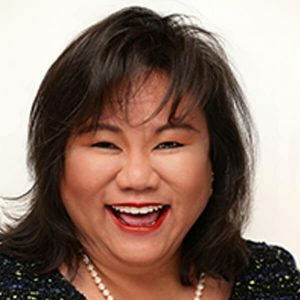 She has won numerous awards, including being named one of the Most Influential Women in Silicon Valley (SV Business Journal), a top Women Leaders in Tech Law (The Recorder), one of the World’s Leading IP Strategists, a Legal Impact Winner, Multicultural Leadership Award recipient, Legal Momentum Women of Achievement honoree and Direct Women Board Institute program.